Think whiskey's only for men? Don't say that in front of Anthony Bourdain. Or, for that matter, in front of anyone. But...especially Bourdain. The chef and TV host hosted the Balvenie and the American Craft Council's 2017 Rare Craft Fellowship Awards last month, and told Mic that he would really prefer to do without gender-assignment in the food and drink world...to put it lightly. "I frankly don't like the idea of assigning gender to food," he told the news outlet. "It really offends me. If I'm in any way responsible or seen as supportive of 'bro cuisine' I mean, it makes me just want to hang myself in the shower thinking about it." Especially as consumers become increasingly progressive, the gendered food and drink market only seems more and more problematic. New products like Brosé (yes, that's rosé marketed for guys) and Little Black Dress Vodka are only the tip of the iceberg. 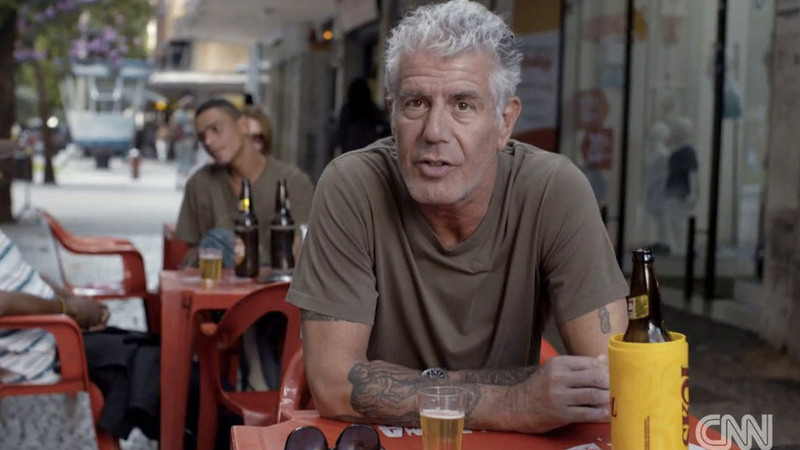 But it's not just the idea of the so-called "bro cuisine" that's got Bourdain up in arms. It's also the general activities to which that sort of food lends itself, and to which it's more or less assigned. In other words, don't expect the 60-year-old to join your scotch-drinking party...particularly if there's any bro-ing out required. "I frankly don't like the idea of organized appreciation festivities. You know, people sitting around doing tasting notes for festivities would be an eternity in hell," he explained. "The idea of a bunch of high-fiving white guys with ties and their jackets off talking about scotch—that's not the way to enjoy a fine whiskey to me. I like my whiskey best enjoyed alone, actually." He elaborated, explaining that he'd leave the bros behind in order to enjoy that solo whiskey at "four o'clock in the afternoon, in a saloon or pub of my choice, in the dying light of the afternoon, dust motes floating in the air, Tom Waits on the juke box, and after a few sips [...] free to feel as good or bad about myself as I care to that afternoon." Yup, we'd happily eschew all our current plans for an afternoon like that.